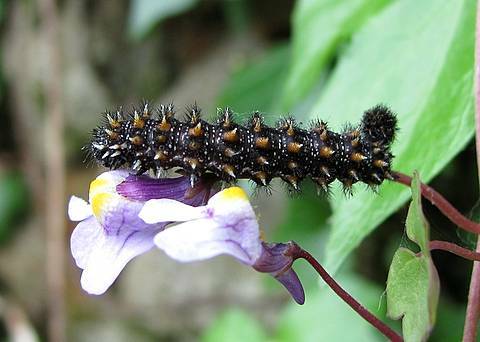 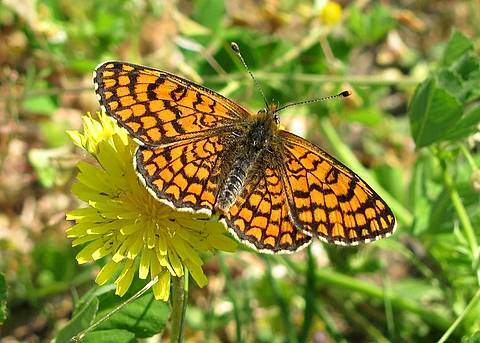 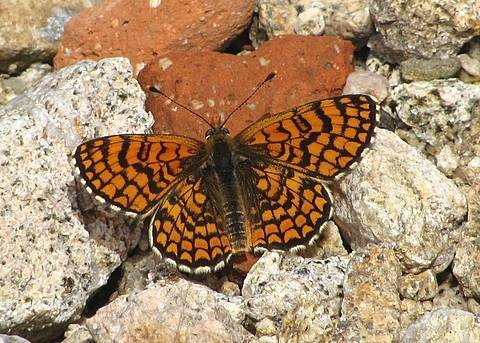 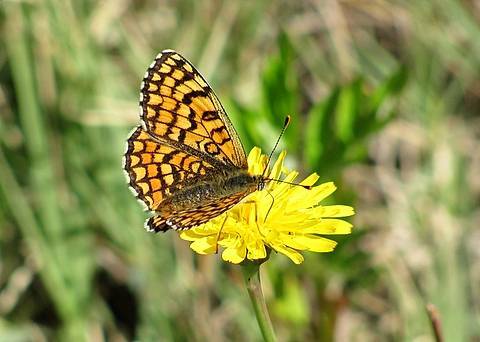 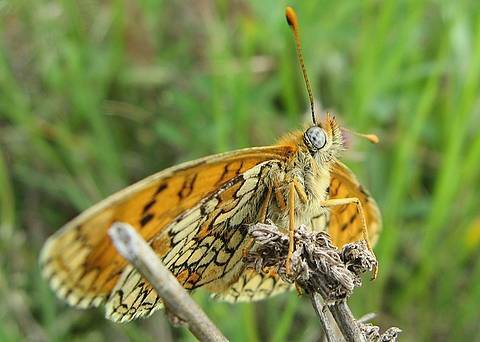 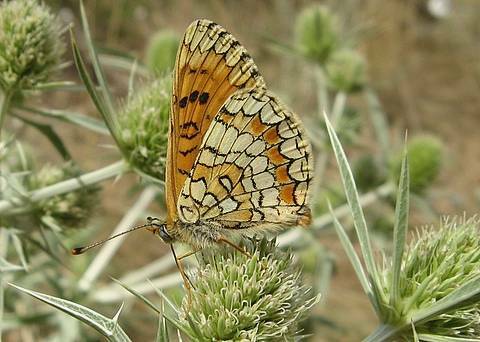 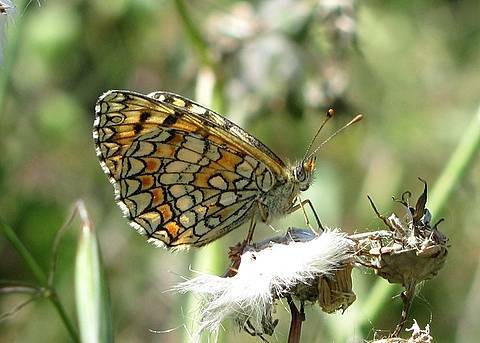 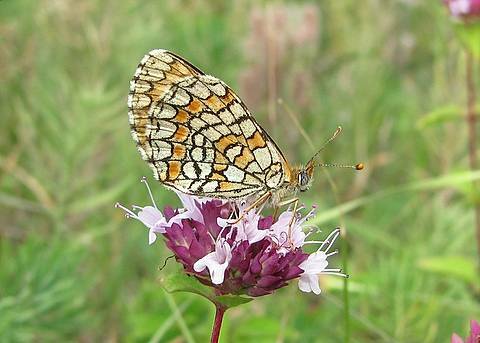 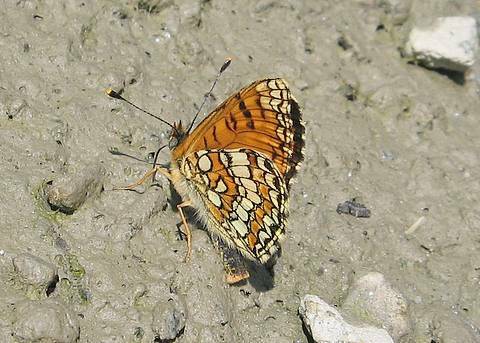 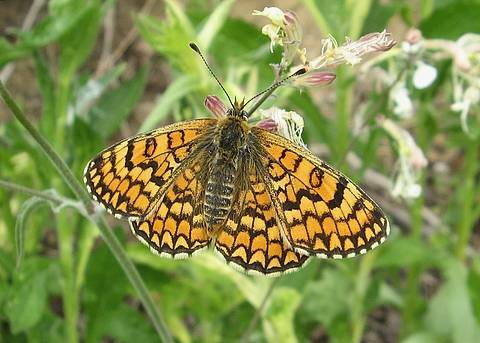 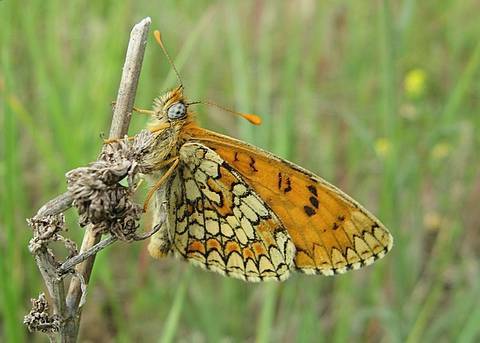 The Provençal Fritillary is a butterfly of south-western Europe, essentially Portugal, Spain, southern France and parts of southern Switzerland and northern Italy. 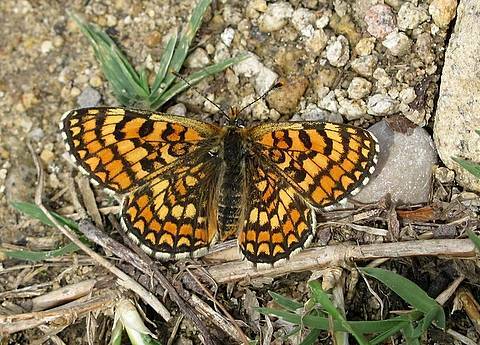 In the Rhône département it must be very close to the northern limit of its distribution. 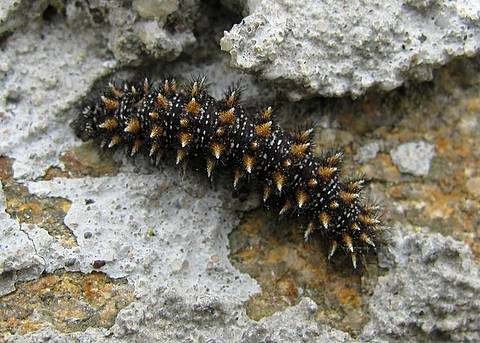 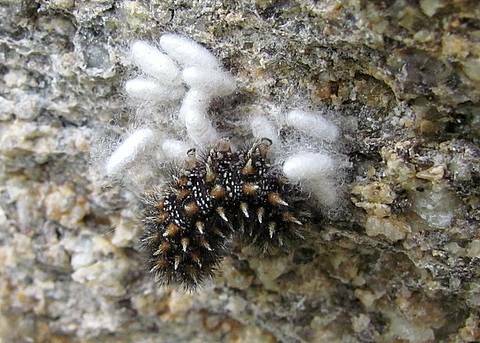 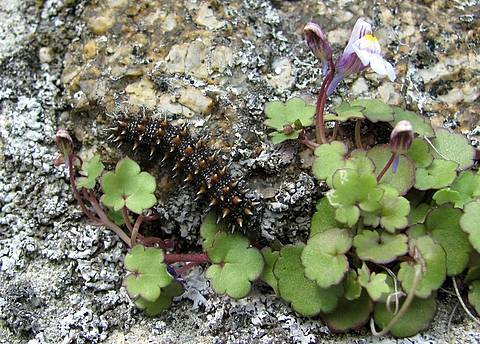 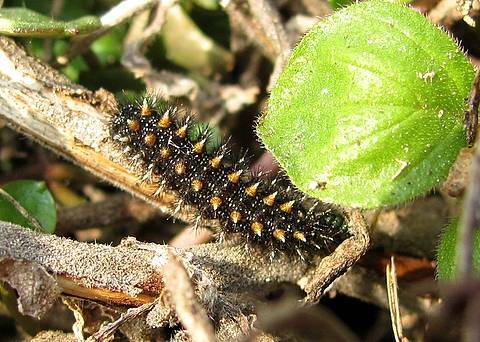 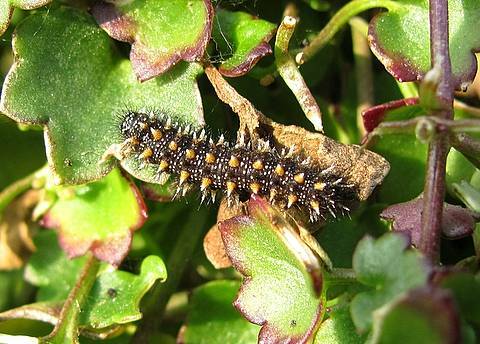 It is part of the confusing Mellicta group containing several similar looking species. 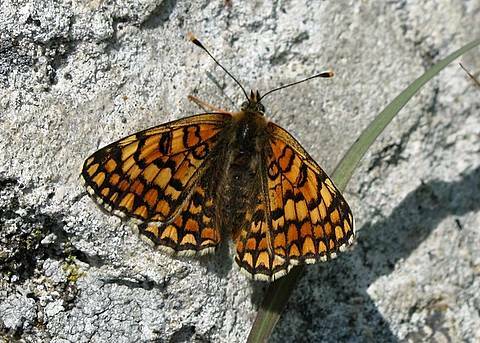 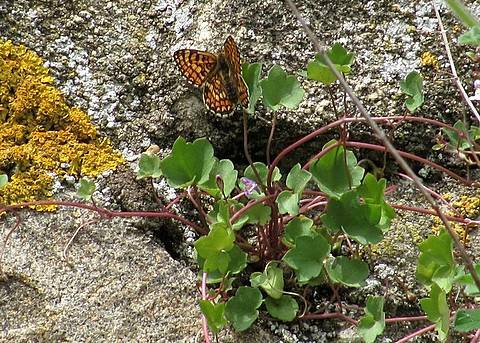 Whilst an appreciation of many features is necessary for determining Provençal Fritillary, there are a couple of very important ones. 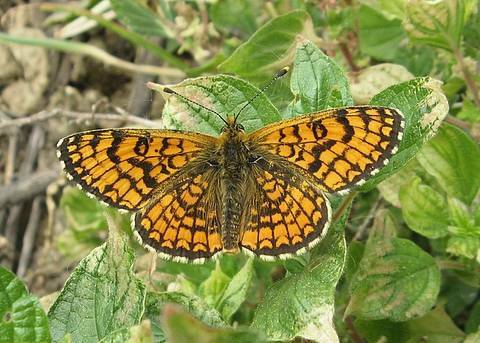 On the upperside of the forewing there is a strong orange mark descending firmly into the base of the cell and only slightly scuffed with black in one corner, and this is preceded by a pair of roundish orange marks, one sitting atop the other. 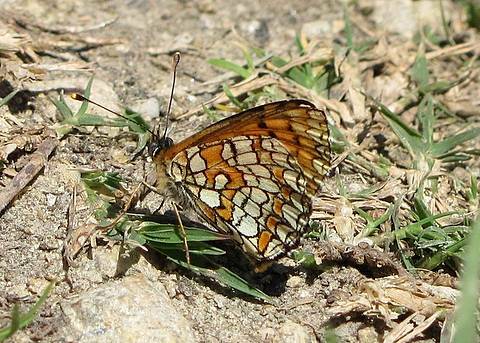 On the underside of the hindwing the central discal band is the same colour on both sides of the black line splitting it down the middle and this pale yellow colour is the same as the lower half of the palpi which are tipped with orange. 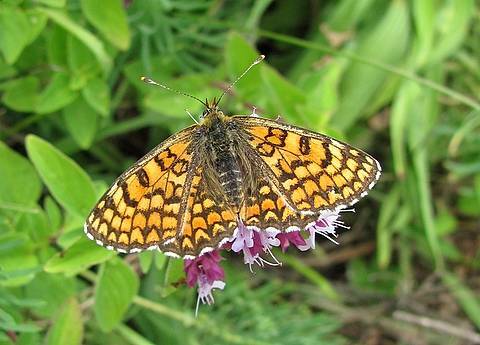 On the whole female dejone looks most similar to a Knapweed Fritillary and male perhaps more like a Heath or Meadow Fritillary. 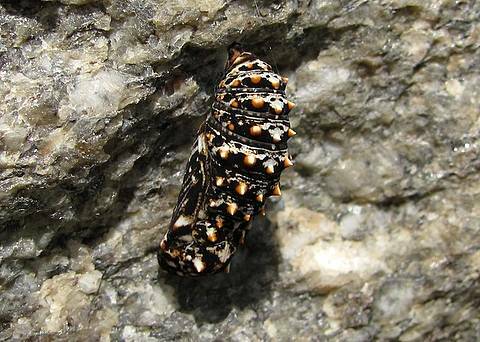 The Swiss subspecies berisalii is a rather different insect in some respects......on the underside of the hindwing the marginal black line is swollen up into well developed black lunules and I believe the uppersides are relatively more melanic.